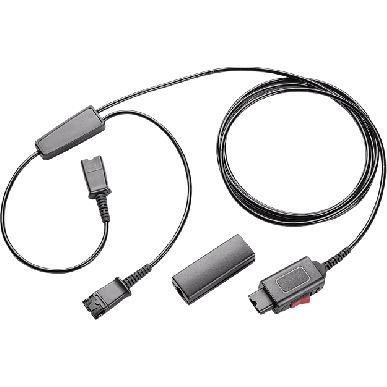 The Y training cable with Quick Disconnect (QD) connector enables you to connect two headsets to one phone or audio processor. It includes a mute switch which enables you to mute either headset. The cable is 7 feet long and the branches to QD's are 9 inches. We're happy with the headset & have had no issues.